During the morning hours of Aug. 20th, 2017 a Seward County Deputy initiated a traffic stop on Hwy 54 mile post 1, after observing a passenger van traveling East occupying the left lane. After investigating, a probable cause search was conducted and approx. two pounds of vacuum sealed marijuana was located in the vehicle. Both occupants were interviewed and the passenger Robert Auguste Ducrocq, 21 years of age from North Hollywood Calf. was arrested and transported to the Seward County Jail on the following charges …. Poss. of Marijuana with the intent to sell, No drug tax stamp, and Felon Drug Paraphernalia. Ducrocq is still in the Seward County jail holding on a 25,000 dollar bond. The driver of the vehicle was not charged and was released. Later on the same day Aug 20th . The Kansas Highway patrol initiated a traffic stop on a 2007 Chev Tahoe east bound on Hwy 54 mile post 3. The Kansas Trooper was denied consent to search and requested the assistance of Seward County Sheriff Office K-9 Niko. 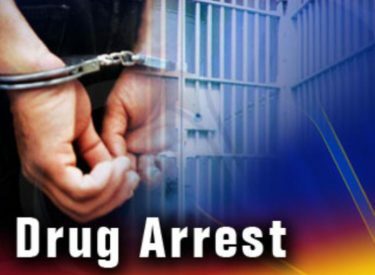 After K-9 Niko indicated on the suspects’ vehicle, Law Enforcement discovered six pounds of methamphetamine and one pound of cocaine in a hidden compartment in the vehicle. Suspects Juan Almazan 25 years of age and Lizbeth Salazar-Montanez 24 years of age, both from Wichita where arrested and transported to the Seward County jail with the following charges … Poss of Meth with the intent to sell, Poss of Cocaine with the intent to sell, No Drug Tax Stamp, Felon Drug Paraphernalia and Aggravated Child Endangerment X 3. The three children in the vehicle were taken into Police Protective Custody. KBI was called for further investigation on this case. Both Almazan and Salazar remain in the custody of the Seward County jail holding on 100,000.00 bond.